Montreal-based Lexis is one of the most vocal music champions and DJs out there. 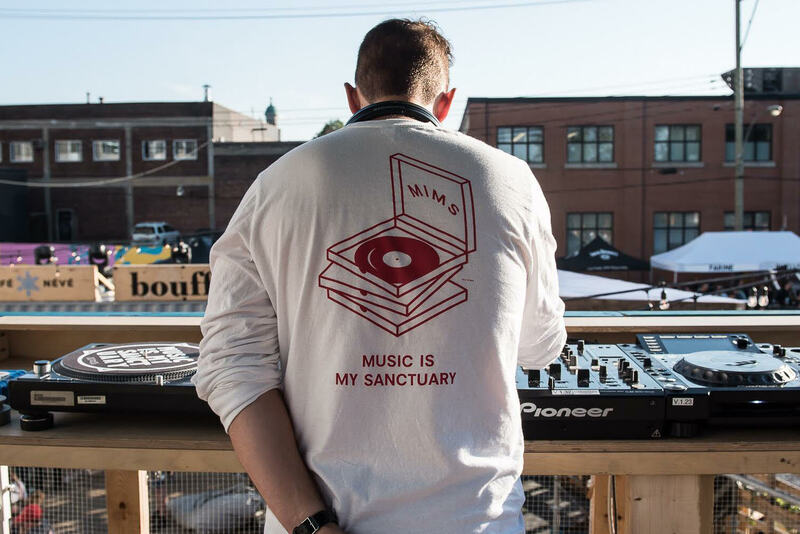 Founder of Music Is My Sanctuary, Lexis has been responsible for highlighting numerous artists – with the help of writers and DJs from around the world – since 2007. He even recorded a TED Talk in his hometown about the importance of preserving cultural heritage through vinyl – watch it below. In an exclusive mix for Supreme Standards, Lexis presents over an hour of fresh bruk and Jazz, inspired by musicians that are mostly across the water from MIMS HQ. Rather than being a nostalgic selection, Lexis has selected tracks that “showcase the Jazz sound within the Broken Beat producer community”. Expect knowledgable picks from the likes of Neue Grafik, Footshooter and The Last Poets. We talked to Lexis about his foray into broken beat and the musical impact of his 12 year-strong music platform. \\ MIMS has been a go-to for several years when it comes to underground releases. What were the original aspirations of the platform when you launched it? How have your goals changed (if at all?). It started with a very basic idea of putting my monthly mix online as a podcast instead of handing out CD-R’s all around town like I used to do. It grew organically with the addition of collaborators from around the world who brought their own taste and take on things. I’m very proud to have grown it into something that is so much bigger than just myself. Quite simply it’s a platform for music discovery and exchanges between music lovers. \\ Tell us about three of your favourite music discoveries since launching MIMS? Ohhhh that’s just cruel question. I probably have three per day! I think the role of any great music platform like you guys, Worldwide FM and so many is to act as filters, curators and presenters of amazing music and talents. But in our position I think it’s normal that we feel our heads spinning with the amount of amazing music coming out every week which is certainly my case. The music industry certainly has a lot of challenges, but the amount incredible music out there isn’t one of them. \\ Could you explain the concept or ideas behind your mix for Supreme Standards? I love conceptual mixes and I’m always thinking of original ideas, so since I know that Supreme Standards love jazz, I was thinking of concepts that would touch on jazz but on music culture that is distinctly British as well. Jazz has always been part of the Broken sound for sure; listen to fusion tracks like War’s ‘Flying Chase’, Eddie Russ’ ‘Zaius’ or Norman Connors’ ‘Mother of the Future’ – even Brazilian stuff like David Benoit’s ‘Life Is Like A Samba’ – and you can hear the blueprint that influenced the pioneers of the Bruk sound like IG, Kaidi, Bugz, and 4Hero. So I thought I’d do Broken Beat and Jazz – but then I decided to focus on the newer stuff rather than the classics. So these are all recent tracks that showcase the Jazz sound within the Broken Beat producer community rather than Jazz band tunes showcasing that special London bruk swing which would be yet another mix! \\ What were the first Broken Beat tracks/albums you heard? How did they make you feel? I was madly in love with the Broken Beat and UKG scenes as a teenager but it was a like long distance relationship! I was across the ocean all the way in Canada and frankly only a handful of people knew or cared about it but for me that sound was fundamental in my first years as a DJ. I would say the first track that laid the foundation for me was Spacek’s “Eve”, even though it isn’t considered a Broken Beat track, more of a UK Soul joint, it’s got that London loose swing and actually sounds like a Bruk track just at 95bpm instead of 125bpm. But then I quickly started diving deep into the usual suspects of course: Bugz crew, IG, Kaidi, Dego & Marc Mac, Mark De Clive-Lowe, Moonstarr, Jazzanova, Jazztronik, etc. What I’ve always loved about Broken Beat is that it’s mentally and musically challenging while still being pure dancefloor vibes as well! \\ Tell us about the music scene around you in Montreal; are there any scenes or collectives that you’re enthusiastic to highlight to the world? Montreal has always been a great city for culture and nightlife, although like any city there are always things to improve on – as I write this we are in the middle of a blizzard and it’s been -30 for a few days. Overall though, it’s a very solid scene where musicians, DJs and music lovers are tight and very respectful – so Canadian! MIMS has been holding it down for a while but there are tons of great festivals, collectives, labels doing big things. \\ Could you tell us about the artists you have your eye on for 2019? Oh again, tough question! So many to watch out for – every single week a new artist surprises me or an older one comes back with something strong. Like I mentioned above, the quality and the quantity is not the problem in the musical landscape, as music lovers we are spoiled! There are tons of other issues we need to adress like revenue models that are fair for artists and labels, inclusiveness and openness in our music community… but I have faith that 2019 will be a great year for music. 16 \\ Henry Wu – Back to Brukka.